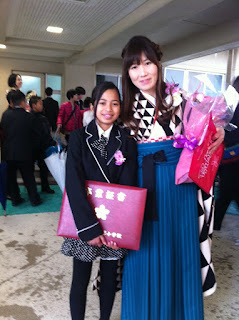 It has been more than 2 week I not update my blog for the construction field post. 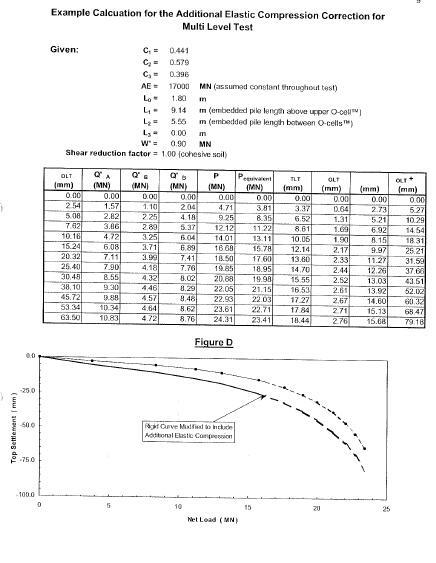 As per previously articles I have mentioned about load test for pile by using kentledge system method and reaction pile method. 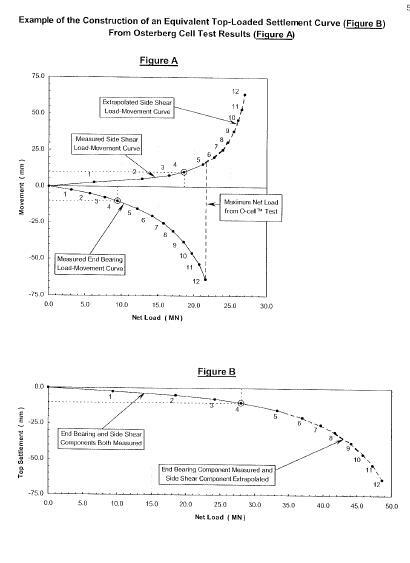 Currently with the advance technology and competitive in construction in term of costing and time impact, I would like to share my experience with another method of load test by using bi-direction static load test. 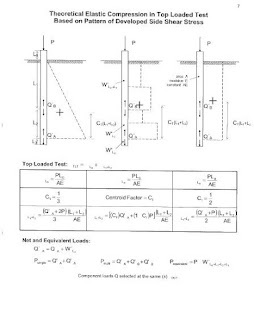 Static load testing, where loads are applied vertically to the top of the pile and often referred to as ‘top down testing’, has been used for many years and has become a ‘standard’ test for the world of foundation engineering. The method, although well developed, cannot be used under certain circumstances, magnitude of load being a particular issue. 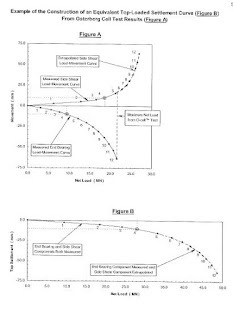 There is a finite limit to the load capacity that can be applied with either kentledge, the use of reaction piles or anchors, and as the loads increase, the costs escalate dramatically. used for major structures especially in offshore works. piles or kentledge is limited in comparison to service loads demanded. 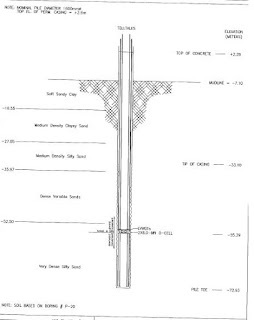 A top down test was considered which would require either several anchor piles to lengths equal to or in excess of the test pile or heavy kentledge that may be unstable on the soft ground. 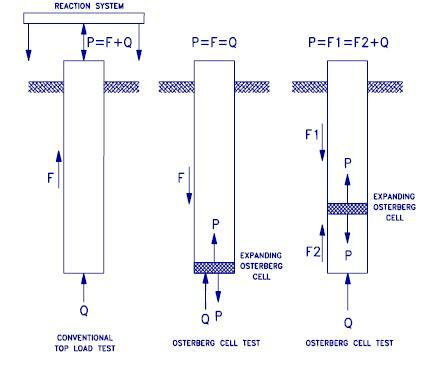 Bi- directional Testing was introduced by Osterberg changed the way some foundation load testing especially for bored piles. 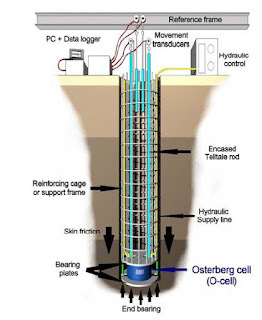 The method use the hydraulic to the sacrificial jacking device (O-cell) installed within the pile shaft, one portion of the foundation element is tested against the other. It will effect by direction force upward against skin friction and down-ward against skin friction and end bearing. The interesting with this method is on the installation of the testing apparatus within the pile shaft. 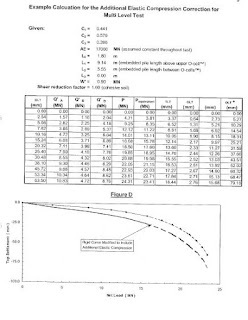 In this case normally the geotechnical designer will determine the position of O-cell based on bore log. 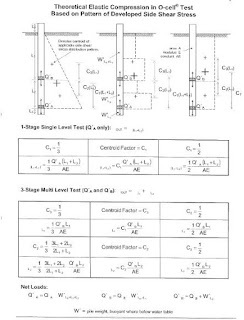 The bi-directional test is not restricted by the limits of overhead structural beams, kentledge weight or reaction piles. This method also easy to install, reduce the logistic cost compared with conventional method and also safety of external reaction systems at ground level are eliminated. This advantage proved very cost effective on one major bridge construction contract in Tunisia, where the ground conditions consisted of very soft alluvial clays to depths of up to 400 metres. Our project used this system for the construction of bridge crossing Lumut Strait at Klang. The test conducted by Fugro Loadtest Asia Ptd. 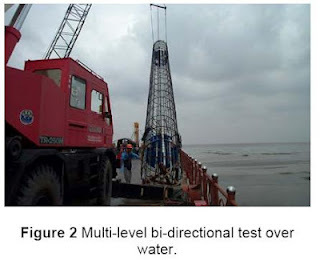 Ltd. for the 1.6m Ø bored piles with 75.96 m deep piles under bentonite slurry with sub surface condition at the test pile location consist primary of silty sand, sandy clay, silty clay and sandy silt. 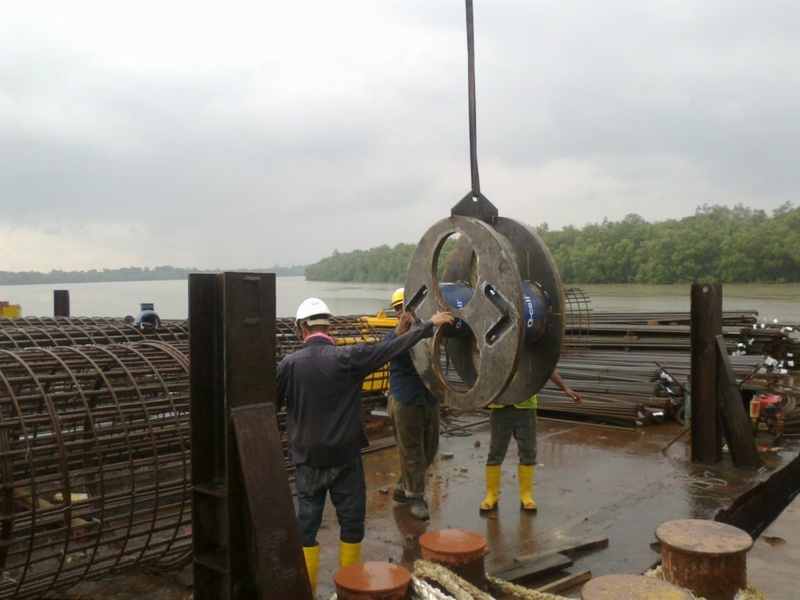 The maximum sustained bi directional load applied to the pile was 7.84MN. at the this load, the displacements above and below the O-cell assembly were5.12mm and 114.18 mm. The sub-surface stratigraphy at bore hole BH-2A near the location of the test pile is reportd to consist of silty sand, sandy clay, Silty clay and sandy silt. . The 1600mm diameter test pile was excavated to a toe elevation of 72.93m, under bentonite slurry. 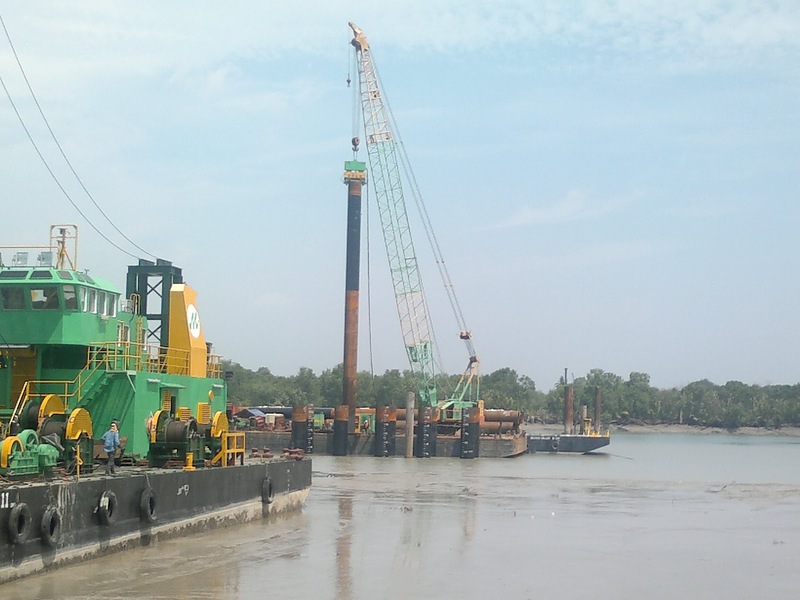 The pile was started with a a 1650mm O.D casing which was inserted into the sea bed prior to commencement of drilling. 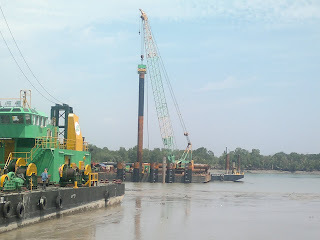 A reverse circulation drilling was adopted for drilling the pile.The bottom of the pile was airlifted after drilling. After the pile approved for concrete placemet, the reinforcing cage with attached O-cell assembly was inserted intothe excavation and tempororary supported from the piling platform. Concrete was then delivered by tremie though a 300mm O.D. pipe into the base of pile until the top of concrete reached an elevation level of 2.28m. The loading assembly consisted of two 405 mm O-cells, locaed 17.54 meter above the pile toe. 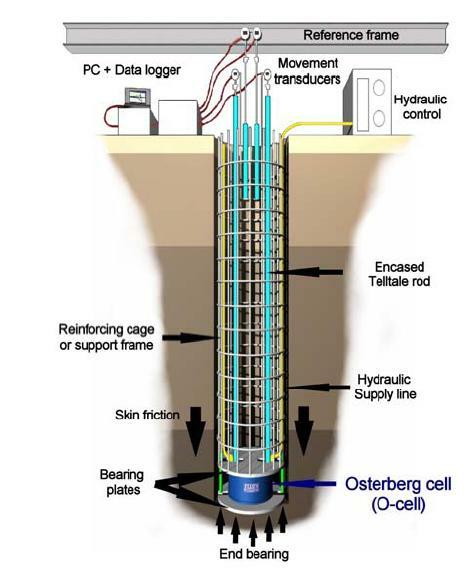 The Osterberg cell were calibrated to 6.0MN and then welded closed prior to shipping by the manufacturer. 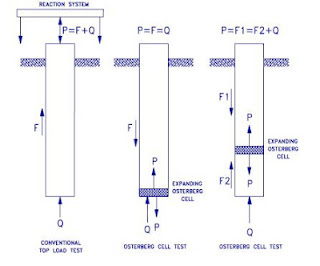 Calibrations of O-Cell and instrumentation used for the this test shall submitted to supervision consultant for review. 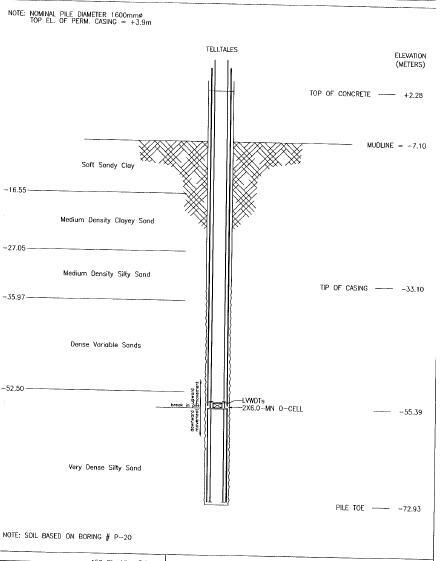 · Two upper compression telltale casing (nominal 13mm steel pile) attached at 180º spacing to the reinforcing cage, extending from the top of the O-cell assembly to the platform level. · Two pile toe displacement telltale casing (nominal 13mm steel pipe ) attached at 180º spacing to the reinforcement cage, extending frothe bottom of the reinforcing cage to working platform level. · Two linear vibrating wire displacement transducer (LVWDT’s, Geokon Model 4450 series) positioned between the lower and upper plate of the O-cell assembly. 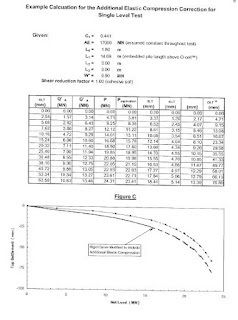 Details concerning the instrumentation placement as per Figure A. · Upper pile compression was measured using four 8 mm telltale rods positioned indide the casing and monitored by Linear Vibrating Wire Displacement transducers (LVWDTs, Geokon model 4450 series attached to the top of pile. · Pile toe displacement was measured using two 8mm teetale rods positioned inside the casing and monitored by Linear Vibrating Wire Displacement transducers (LVWDTs, Geokon model 4450 series attached to the top of pile. Both pressure gauge and a vibrating wire pressure transducer were used to measure the pressure applied to the cell at each load interval. All instrumentation were connected thorough a data logger ( Data Electronic geolongger 85G) to a laptop computer allowing data to be recorded and stored automatically at 60 second interval and displayed in real time. 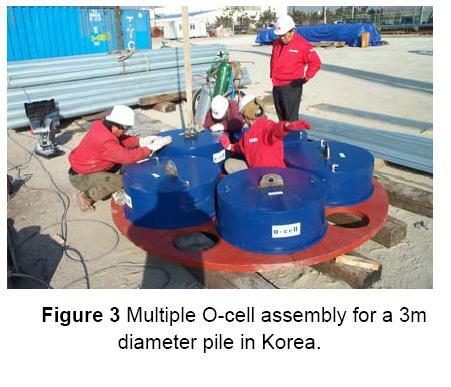 The O-Cell were loaded in 10 equal increments to a bidirectional gross O-cell load of 7.84 MN at 1L-10. The load increments were applied as specified in the loading schedule presented and agreed by supervision consultant. 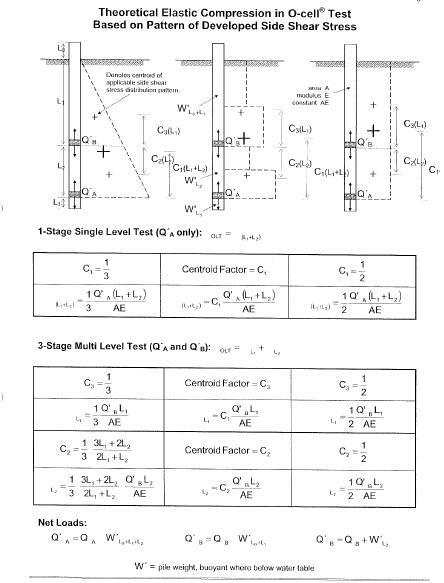 The cycle of load table same as common test only the result of test based on analysis of recorded data during the test. 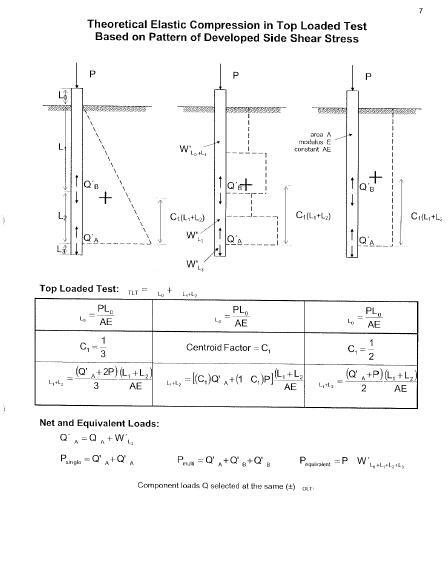 However this method still new in Malaysia and the only registered company have the right to do such a test only Fugro Loadtest Ptd Ltd from Singapore. 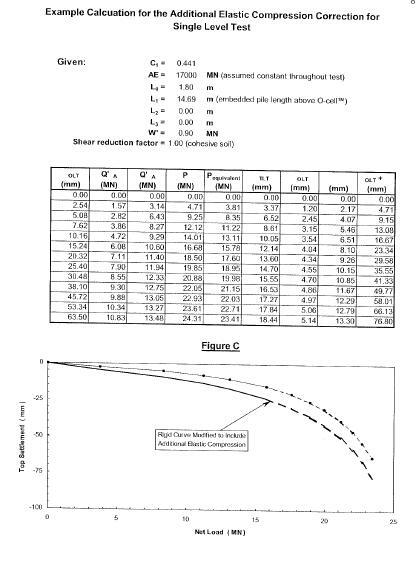 The rate compared with common static load test is reasonable within RM 80/ tonne but it can produce better way in load test for the future. I'm lucky because have seen by own eye these method. so till we meet again.